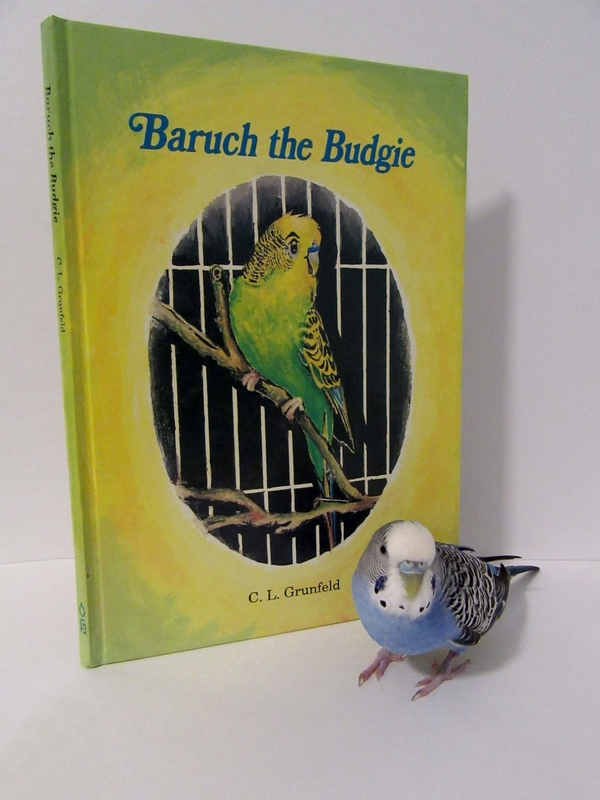 Posted on December 7, 2018 by Michelle M.
This month’s book is Baruch the Budgie by C.L. Grunfeld. 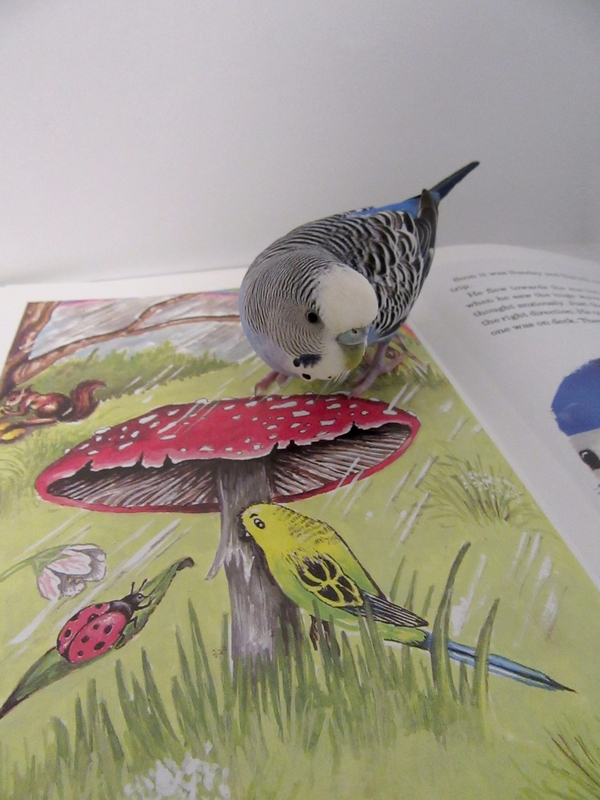 Little Saraleh lives in England with her parents, and budgie Baruch. One day Sarah forgets to shut the door of Baruch’s cage and he flies away. Baruch enjoys his freedom. He stays in a garden, where he listens to a choir of penguins and is watched over at night by an owl. When he tires of the garden he decides to fly to Israel. Luckily he finds a cruise ship to take him on his journey. In Israel, Baruch visits the Wailing Wall and Kever Rachel. Eventually he ends up staying at an orphanage where he delights the children. Meanwhile, Saraleh’s parents decide to take her to Israel. While visiting an orphanage, they hear a familiar birdsong. Could it be..? Cooper enjoyed this book. She loved that the Baruch and Saraleh were reunited at the end. Her favorite parts of the book were Baruch’s outdoor adventures. He was a very brave budgie. Cooper also found the glossary of Hebrew words used in the book helpful, as Cooper loves to learn new words.